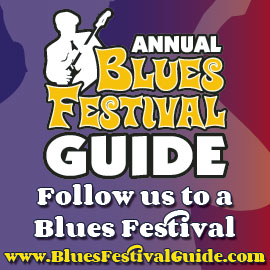 Blues Lovers United of San Diego » BLUES FESTIVAL GUIDE HERE…CHECK IT OUT! Blog > Events > IBC > BLUES FESTIVAL GUIDE HERE…CHECK IT OUT! BLUES FESTIVAL GUIDE HERE…CHECK IT OUT! Wondering where to get your next blues fix? Well, here’s the answer! Blues Festival Guide will give you so many options that it might very well make your head spin…happy hunting! Get your BLUSD Swag on! All original contents copyright © 2019 & beyond by Blues Lovers United San Diego (BLUSD), all rights reserved.